Inspired by the 1920’s art deco era, where la gorconne, or the young flapper woman, with her short hair and sleeveless dress, took to wearing heavy eye make up, scarlet lips and pale pallor. This emphasis on obvious make- up also made it socially acceptable for women to primp in public, to take out a mirrored compact at the table and check her hair and make up. 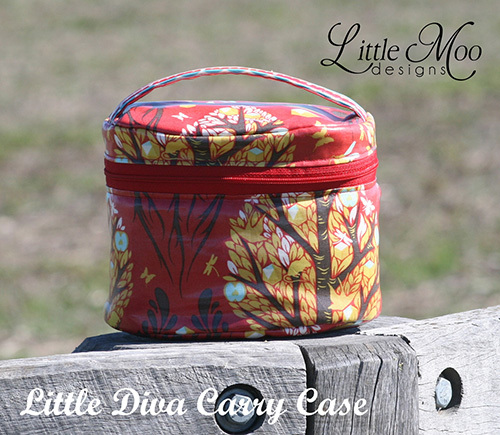 These carry cases are oval in shape, close with a zipper and the pattern includes options for you to add elastic casing and a zippered pocket under the lid. 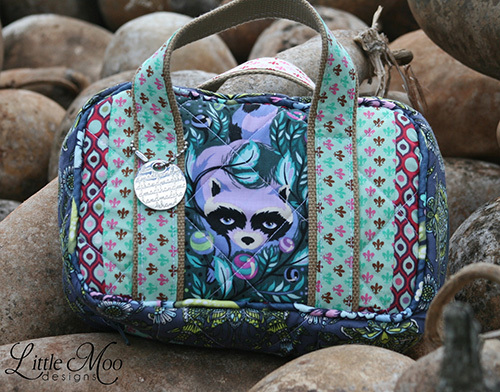 This PDF Sewing Pattern features instructions, coloured photographs and digitised pattern pieces to help you sew your own Bombshell (Large) and Little Diva (Small) Carry Cases. 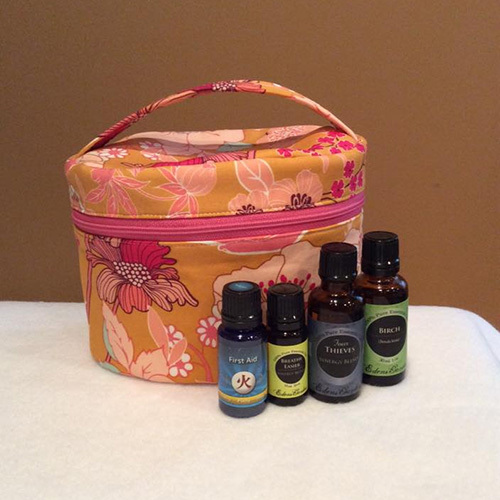 These fun carry cases are so versatile, they are ideal for storing: cosmetics, small toys, lingerie, sewing supplies, essential oils, nail polishes and so much more! 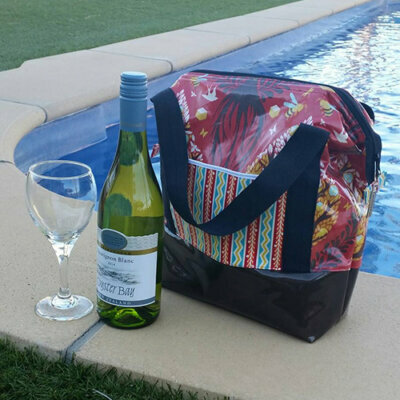 The pattern includes options for you to add a zipper pocket underneath the flap lid as well as elastic casing to hold bottles in place. Pattern Level: Advanced Beginner, knowledge and some experience with zipper techniques would be beneficial. – Suitable fabrics include: Quilters cottons, laminated cottons (walking foot recommended if you use this), denim, leather, suede, vinyl, corduroy. 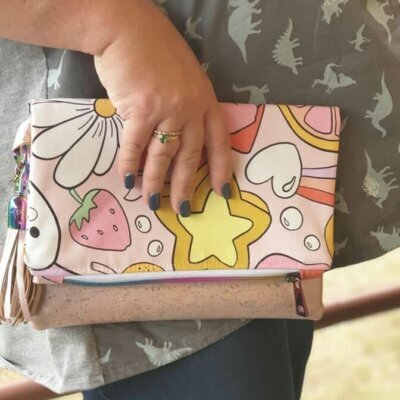 – You are purchasing a PDF sewing Pattern ONLY, not the physical items pictured. 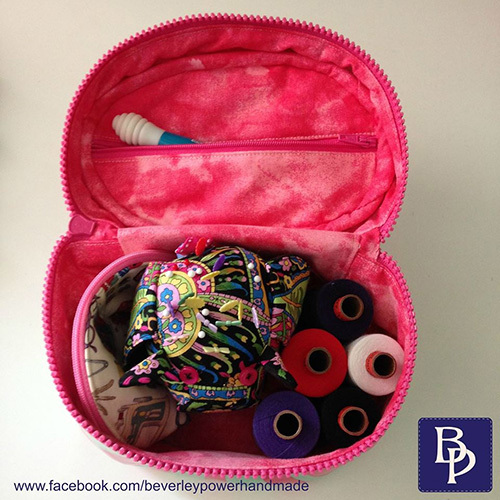 Once you purchase, a link will appear for you to automatically download the pattern.